All India Pre-Medical Test (AIPMT) is a one of the highly competitive exam in India. First of all, you are required to comprehend the entire Syllabus carefully and make out which sections are significant from examination point of view. Initially prepare from Class 11 syllabus prior to going through Class 12 syllabus. Aspirants must have a view over each topic of syllabus. Candidates must prepare subject wise for the exam. Physics is a quite typical subject because physics have mathematical calculations and derivations, so it requires continuous practice. Candidates can be perfect in Physics by regular studies and solving the derivations not by cramming. Candidates should study with previous year papers and refer books of NCERT, as they will help in creating your base. Chemistry is the most scoring subject in the AIPMT Exam. Students can easily gain good marks after a little hard work in this portion. Generally, Questions in this subject will be asked from Intermediate class, so to get a good score in an examination you are required to be a Master of this subject. Students need to give more focus on basic concepts of Chemistry, try to comprehend the equations of all molecules and mixture. Numerical portion of Chemistry is not too hard so candidates can gain very good marks in it. Biology is the major subject for AIPMT. So, you need to prepare well all the concepts of this subject. Biology consists of the questions from subjects of Zoology and Botany. So, students are required to clear all the basic of these subjects. Candidates are required to make proper revision of Zoology and Botany because the concepts of these subjects are somewhat difficult and perplexing so Revision will provide a good perceptive to solve paper. Make sure that you are doing preparation according to latest syllabus and exam pattern, Biology section covers maximum marks in an examination. Study Zoology and Botany regularly because marks are distributed evenly for both. Tip 1: Prepare your mind for the positive approach. 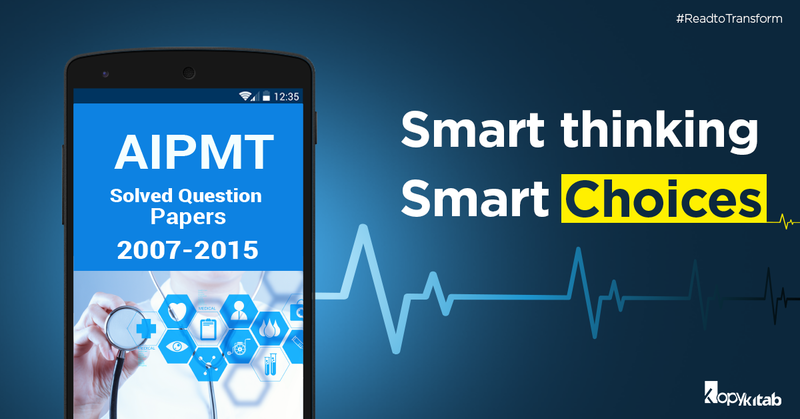 Students should be mentally prepared for AIPMT Exam. Tip 2: Divide time realistically and try to study at least two subjects in a day. Assign hours or days to each topic of subjects. Tip 3: Keep a check on your preparation by taking mock tests. Mock tests help you to prepare well for exam, help you manage time better and, also, bring your weaknesses into the attention. Tip 4: Try to Follow subject-wise study patterns instead of applying the same studying technique to all subjects. Tip 5: Taking down notes will always help in brushing through the topics in the last moment, so try to make their own hand written notes. Tip 6: Time management is important. Candidates must not waste their time on hard questions which they are not capable to answer, instead they should go further. Tip 7: You should set a revising pattern as per your weakness and potency. It is for all time good to note down the formulas and key points separately for revision purpose. Tip 8: It is significant to study hard and genuinely to get a good score. With huge numbers of books, by different authors, it’s about difficult to make a decision which books to refer. But, here we are enlisting some books to assist you to crack the examination.